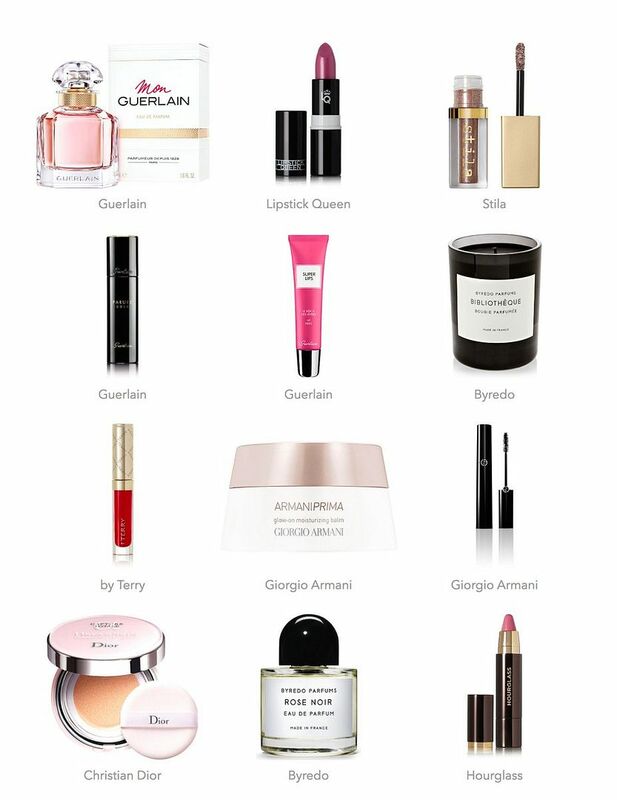 First thing on the list is the new Guerlain Mon fragrance – it’s seriously dreamy stuff, and I may have already bought it? I adore Guerlain fragrances, they’re so classy and I love the heritage behind the brand. I love Shalimar, and this one seems like a perfect day time scent. Whilst we’re on the subject of perfume, I am still desperate to try a Byredo perfume and Rose Noir sounds pretty good to me! I think a Liberty spritzing session is in order. I’ve got my eyes on some new base bits – the Guerlain foundation has been on my wishlist for a long time, and the Dior cushion foundation seems like it would be fab for my makeup bag + touch ups. The Giorgio Armani base was used on me for a makeover and I fell in love with it! Such a good priming base for makeup. Also keen to try the infamous Giorgio Armani eyes to kill mascara. Lipstick wise, I am liking the new Lipstick Queen chess collection, the By Terry liquid lip situation and the new Hourglass lip stylos. One of each would be fab. Lastly, I need all of the Stila glitter eyeshadow shades because I am obsessed!